The American Health Council elected Hisham Bismar, DO to its Board of Physicians for his outstanding and selfless efforts to not only improve his patients’ lives in his Portland, Ore., office but for also aiding the wounded near the Turkey/Syrian border during the Syrian conflict in 2014. Dr. Hisham Bismar, D.O. is currently an orthopedic surgeon at Kaiser Permanente in Portland and has held that role for 10 years. He has spent the last 20 years in the healthcare industry expanding his skills and expertise in hand, wrist and elbow surgery including trauma and reconstructive surgery for conditions related to arthritis, fracture care, tendon and peripheral nerve injuries, as well as overuse and sports injuries. 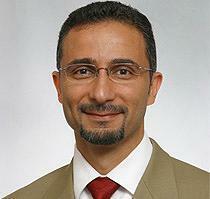 Born in Damascus, Syria, Dr. Bismar left his home country when he was 18 years old to further his education. He first pursued electrical engineering and earned a master’s degree in biomedical engineering from Wright State University in 1992. He worked as a biomedical engineer at the Detroit Medical Center and although he found the topic intriguing, he missed working one-on-one with patients as he had done so while volunteering at a local hospital. Yearning to work directly once again with patients, Dr. Bismar pursued a Doctor of Osteopathic Medicine degree from Michigan State University, College of Osteopathic Medicine. After earning a degree in 2001 and earning board certification from the American Osteopathic Board of Orthopedic Surgery in Orthopedic Surgery, he immediately began practicing in the field. Specializing in hand and elbow care, Dr. Bismar’s patient-centered approach has earned him the trust of his patients. He assists them in making the right decisions regarding their condition, lifestyle, and expectations while listening closely to their concerns and answering their questions. At Kaiser Permanente, he places his focus on his patients first, ensuring that they receive the best patient care. Dr. Bismar currently has admitting privileges at the Sunnyside Medical Center in Clackamas, Ore., and the Westside Medical Center in Hillsboro, Ore.
A skilled physician, Dr. Bismar traveled to the Turkey/Syria border at the height of the Syrian civil war in 2014 to operate on wounded refugees. Frustrated by the conflict, he decided to return to his homeland and use his medical skills as an outlet of his frustration. He settled in makeshift hospital stations near the border and immediately made a horrifying realization: most of the war victims were children. He finds comfort knowing that his surgeries will help the children he treated lead healthy lives. Dr. Bismar’s dedication to aid the wounded is chronicled in the Oscar-shortlisted documentary “50 feet from Syria,” directed by Skye Fitzgerald. Since then, he has participated in several mission trips, including a recent trip to Jordan and again to Turkey to operate on Syrian refugees. A devoted member and president of the Syrian American Medical Society, Northwest Chapter, Dr. Bismar utilizes the society as a tool to learn more about the ongoing conflict and medical relief. He constantly works to give back to the community, both in America and abroad. Additionally, he is also a member of the American Osteopathic Association and the American Osteopathic Academy of Orthopedics. With a successful and prosperous career at hand, Dr. Bismar plans to continue to deliver excellent patient care domestically and internationally in the future, as well as continuing to participate in mission trips. Kaiser Permanente evolved from industrial health care programs for construction, shipyard, and steel mill workers for the Kaiser industrial companies during the late 1930s and 1940s. Kaiser Permanente Northwest is part of America’s leading integrated healthcare organization. Thousands of people receive their medical care from Kaiser Permanente in Oregon and Southwest Washington. Founded in 1945, Kaiser Permanente is one of the nation’s largest not-for-profit health plans, serving 11.8 million members, with headquarters in Oakland, California. It comprises Kaiser Foundation Hospitals and its subsidiaries, Kaiser Foundation Health Plan, Inc and The Permanente Medical Groups.